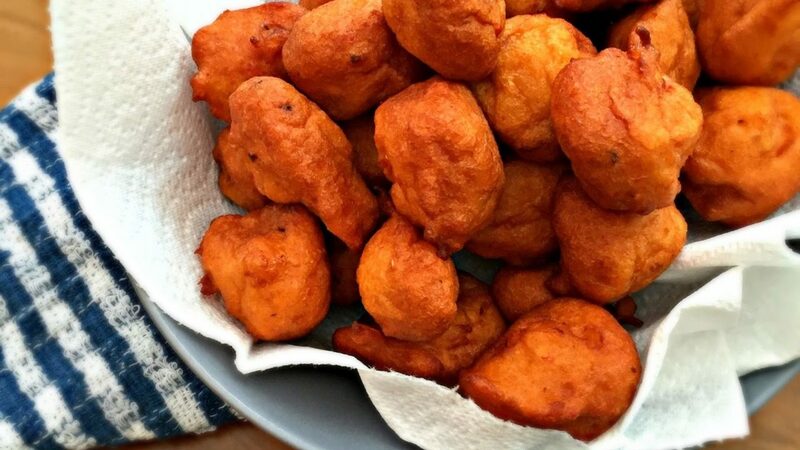 Akara is a popular Nigerian snack made with beans, also known as bean cakes, bean-balls or bean fritas. To make Akara, you need to, first of all, remove the beans coat just before you make the Akara. You can’t use coatless beans that have been stored in the fridge or freezer to make Akara or it will just spatter everywhere in the oil. Remove the beans coat. It is important that you do not let salt come in contact with the beans you will use in making Akara till you are ready to fry it. Salt is believed to destroy the leavening property of beans. 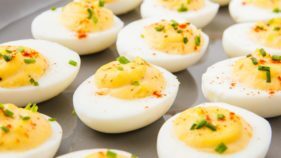 Doing this will prevent spattering of the beans batter during frying. Soak the beans in water for 2 hours to make it soft enough for your blender. If you will grind it using the heavy duty grinders in Nigerian markets, it will not be necessary to soak the beans for extended periods of time. Grind the beans with your blender making sure you add as little water as possible. The water should be just enough to move the blades of your blender. The operators of the heavy duty grinders in our markets don’t even add water when grinding beans for Akara. The less water you add at the grinding stage, the more the beans batter will stay together during frying thereby reducing spatter. Also, do not add any other ingredient when grinding the beans for Akara. 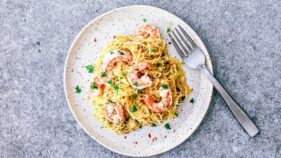 It is believed that other ingredients, if added too early, reduce the ability of the ground beans particles to stick together. Heat up some oil at least 3 inches deep. This stirring technique releases the gas that will act like a leavening agent to the beans particles, making them rise and stick together. Keep stirring till the ground beans appear whiter. Add some water. Add salt to your taste and stir again. 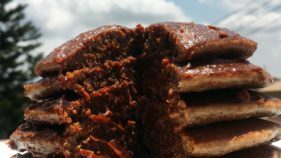 Salt should always be added just before scooping the beans mixture into the oil or it will destroy the leavening property of the beans. To fry the Akara, scoop the mixture with a tablespoon and slowly pour this into the oil, dipping the spoon a little bit into the oil to reduce spatter. Fry the underside till brown and flip to fry the top side too. 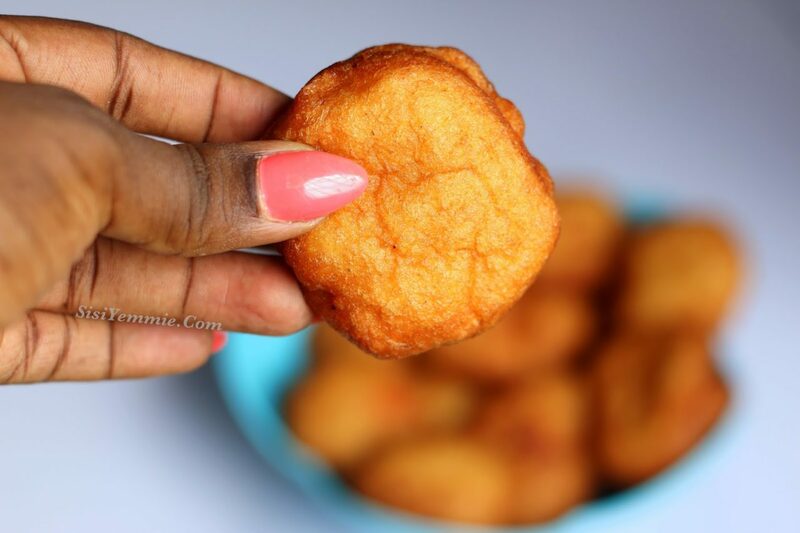 When the Akara balls are brown all over, remove and place in a sieve lined with paper towels. 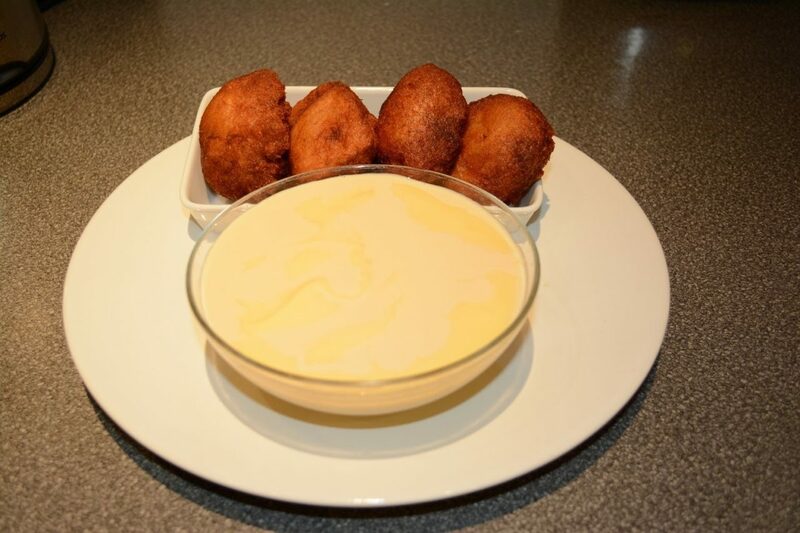 Serve Akara with custard or ogi or akamu, agidi or fresh bread. Making Akara may seem like rocket science but, with practice, you will perfect this recipe. If you do not get it right the first time, try again. The first time is the hardest but it will get better with time.